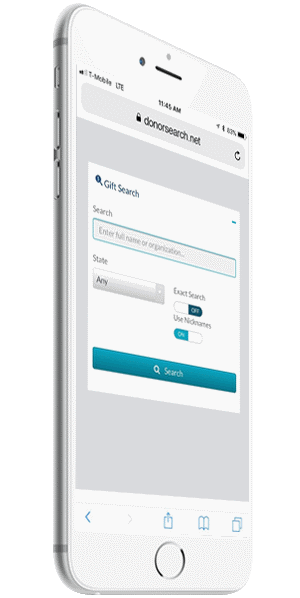 DonorSearch provides accurate and actionable information which identifies your best prospective major gift donors, annual fund donors, and planned gift donors based on proven philanthropy and wealth analytics. See firsthand why thousands of nonprofits use DonorSearch for their fundraising efforts. With a charitable giving database of 150+ million records, DonorSearch covers a lot of ground. As the fastest growing charitable giving database in the industry (500,000+ records added per week), we offer you insights you won’t find anywhere else. Our online toolkit will help you find prospects and research both traditional wealth markers and philanthropic activity. Unlimited seating. Need we say more? Webinars are a great way to learn about DonorSearch’s Online Tool, new features, data manipulation, analytics and much, much more. Along with our fantastic client support team, we also offer a DonorSearch Help Center. Find training videos, virtual tours, information on Software Integrations, and various articles to help you get started. No time to assess your current prospect list? Let us help give you higher quality data in order to more accurately target your best donors. and allow your gift officers to confidently ask for those larger gifts. Interested in becoming a DonorSearch partner?